We’ve all had our buttons pushed at some point. Maybe someone uttered hurtful words, made a snide remark, or offered unsolicited advice that brought out the worst in us. Or maybe it was a self-inflicted trigger. You see that you’ve gained an extra few pounds after stepping onto the scale, or you notice an unexpected transaction charge on your credit card bill. Whatever it is that bugs you, it has the potential to make you fly off the handle and react defensively in ways that aren’t true to who you are. Like a cat confronting a rival with it’s intense and intimidating gaze, hissing and yowling, you feel like you’re on edge – ready to pounce and unleash your wrath. You may also have been in an environment where you’ve witnessed other people losing it. An impatient customer in a store or restaurant who yells at the waiter, or a few brawny men getting in a fight at a bar or nightclub, or even a married couple embroiled in a heated argument at a park. Whenever I’ve found myself in such situations, the tense energy was palpable to me. Pema Chodron, a Tibetan Buddhist monk and teacher, says that the feeling of being triggered is called shenpa. 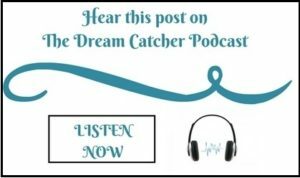 We need to develop the maturity and insight to recognize when we’re in the initial stages of shenpa so that we can choose to respond differently, before having a knee-jerk reaction. If we can do this, we’ll experience a dramatic shift in our lives. But, before we get into how we can develop the mindfulness to moderate our reactions, let’s understand the root cause of our triggers. Whenever we’re triggered we’re operating from our most basic instincts; the need to survive. Any stimuli that we perceive as a threat will awaken the ‘fight or flight’ response. Our heart rate goes up, extra testosterone gets pumped into our bloodstream, and our body pressure and respiration increase to take action. This survival mechanism equips us with the alertness and power to deal with life-threatening situations. 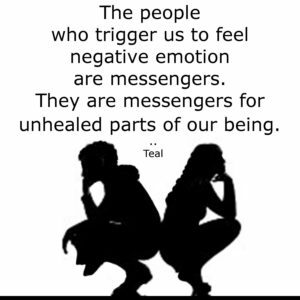 Yet most of the time the sources of our trigger responses are innocuous and harmless. They are a product of our mental construct and our past experiences. Unresolved hurts are like open wounds that are sensitive to touch. These wounds can fester into lifelong issues causing low self-esteem and other mental health issues. Of course, there isn’t a one-size-fits-all approach to removing our inner thorns. All of us have different temperaments and maturity levels. Some of us are edgy and irritable like Donald Duck, while some of us are more laid back and happy-go-lucky like Goofy. Our cultural backgrounds also have a strong impact on how we react when emotionally triggered. Some cultures believe in showing temperance and restraint when displaying their emotions such as the Japanese and Scandinavians, as opposed to their passionate and fiery Italian and Hispanic counterparts. Alcohol, smoking, drugs, and certain foods and drinks can also exacerbate emotions. No matter where we are on the emotional reactivity continuum, we stand to benefit tremendously by developing the emotional skills to respond gracefully whenever we’re provoked, fatigued, or on edge. 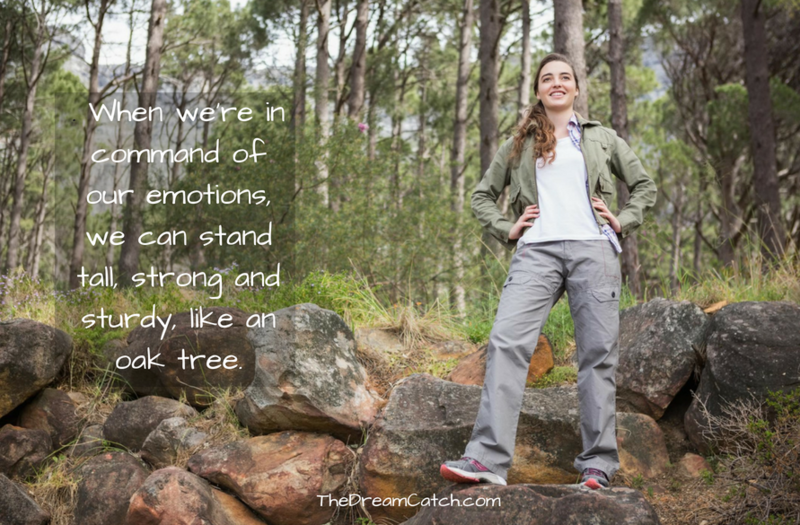 When we’re in command of our feelings, we can stand tall, strong and sturdy, like an oak tree. We will no longer be vulnerable to impulsive choices that can cause us to say and do things that we will later regret. Most felonies are the result of poor judgment by an offender who reacted unconsciously, not stopping to give their actions enough thought. The greatest leaders in history, like Winston Churchill, Barack Obama, and Mahatma Gandhi, were masters at maintaining their emotional cool in the midst of crisis. During challenging times these leaders maintained their composure, making balanced, well-thought-out decisions to ensure the safety and welfare of their people. Even certain professionals such as firefighters, medical emergency personnel, and soldiers are trained with the strength to avoid being triggered when in the midst of crises and chaos. Although not all of us can reach this level of repose, we can certainly look up to those who have as role models when it comes to tempering our passions. If we emulate them, we can become better leaders, make better choices, and reduce our levels of stress and pain. 1. Acknowledge your feelings: When you sense that you’ve been triggered, you’ve got to acknowledge that you are off-center. Once you feel the initial, physical onset like an increased heart rate and uneasiness, stop and observe these uncomfortable sensations as they emerge. Stop the chain reaction from occurring by coming from a place of curiosity instead of reactivity. See it as an opportunity to learn something about yourself and your emotions. Take deep breaths and remind yourself that this is a temporary state of mind which will pass if you hold strong. 2. Take time out if you need it: Whenever I’m caught up in highly charged situations, I find it helpful to disengage by taking a time out to gather my thoughts. 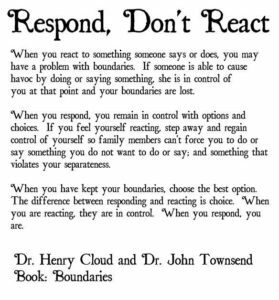 This is crucial in helping you resist the temptation to lash out without properly dealing the raw emotions that have arisen. A triggered response is like a violent sandstorm that wrecks the tranquility of your inner landscape. You have to brace yourself by taking shelter from the storm and wait until the dust to settles before you move ahead. The idea is to go into a quiet space where you can process the event. 3. Process your emotions in a healthy way: Once you find the time and place where you can get back to center, you have the opportunity to channel your emotions in a healthy way. It’s important to avoid suppressing and ignoring how you feel because it will only fester, causing emotional maladies, and eventually physical ones. Remember that you have two choices when it comes to dealing with how you feel – you can intensify the negative feelings by stewing in it and reliving it over and over again. Or, you can break the chain reaction by dealing with the frustration and the hurt, identifying the cause of the trigger, and transmuting that into wisdom and personal enlightenment. In addition to extracting self-knowledge from your triggered response, engage in relaxing activities to ease the tension in your body and clear your mind of turbulent thoughts. Meditation, exercise, journaling, listening to music, and speaking with a trusted friend or family member are just some of the ways you can do this. 4. Take action and speak your truth: After grounding yourself and taking the time to understand your feelings, you’re in a much better position to articulate the both to yourself and to others. If you were triggered by the offensive words or behavior of another person, you’ll find yourself in a better position to give balanced feedback that communicates your truth without the anger, immaturity, and drama that usually comes from a knee-jerk reaction. You can filter the essence of what you want to say which will help the other person understand the impact of their behavior on you. Even though their response is out of your control, you know that you did your part to express your honest feelings and take a stand for yourself – a vital practice in maintaining your self-esteem, dignity, and respect. The feelings that we experience in life are like clouds moving across the open skies of our inner world. The most effective way to deal with them is to observe those clouds pass by and to appreciate the depth and texture that each one adds to your life. If a storm cloud happens to pass by, have faith that it will eventually move away and that the sun will be back to shine into your life, bringing with it clarity, and a better sense of direction. Question: How do you usually react when you’re emotionally triggered? Do you wish that you could shift it? This has been me most of my life. I have always been called overly emotional and as an empath, I am always bombarded by feeling and emotions and everything I feel is much more intense than what others feel. its hard, so thank you for sharing this insight with us. I am sure there are others like me out there who need this right now! I think many of us could fall into this category. I know I do at least at certain times and in certain situations. It is a natural and human emotion and being a sensitive person is not a bad thing at all. We just have to learn how to deal with it.